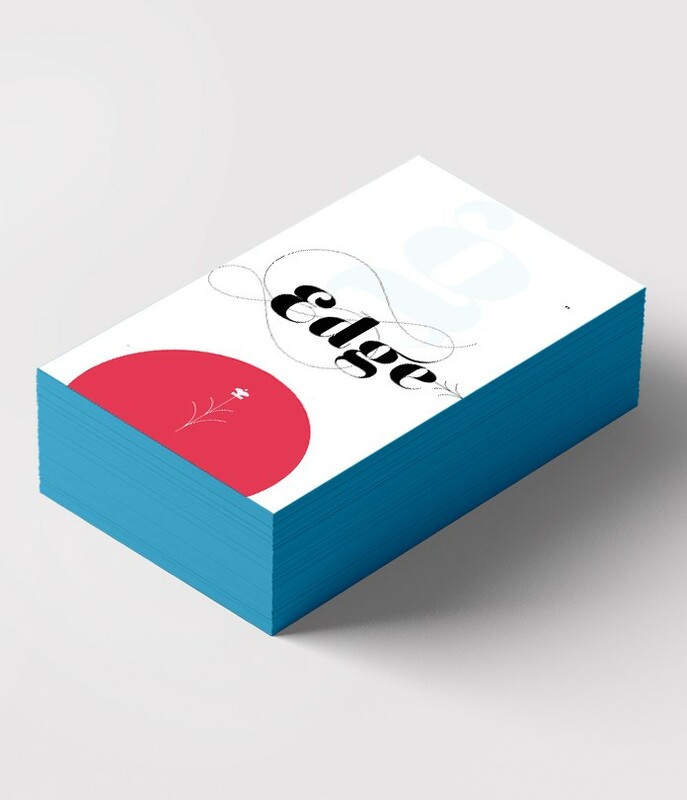 We are proud to present our new edge painting technology; enabling you to banish white edges from your business cards forever. This process uses an acrylic paint that closely matches any Pantone or CMYK litho printed colours, so your company colours can now be blended right around the card. Full colour both sides (lithographically printed), 55x85mm, 600gsm silk, matt lamination both sides, edge painted to all sides. Prices subject to VAT. When ordering please supply us with the CMYK or pantone reference to which you would like the edges painted.